He is everything she never wanted: brooding, secretive, rich - and far-removed from her care-free artistic lifestyle. Yet David has a power over Grace that she cannot resist, a power that comes from his darker, passionate side. And now he is ready to truly reveal himself. 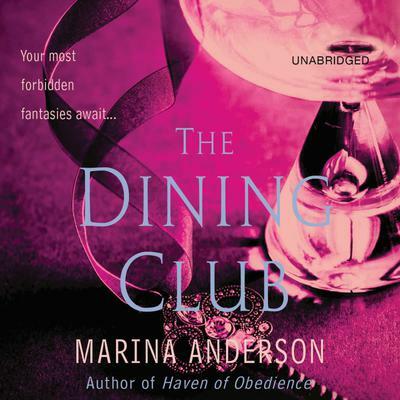 Inviting Grace to a weekend at the Dining Club, David offers her the opportunity to discover his deepest desires and to find pleasures far beyond her wildest imagination - but only if she if willing to play a series of sensual games. Grace faces a choice: give in to her doubts and retreat to her quiet life, or truly embrace happiness with David and win over her mesmerising lover forever. Indulge yourself in this seductive tale, perfect for true lovers of E L James and Sylvia Day.